I have seen puppy and kitten cams before but I think this one is probably the best of all. 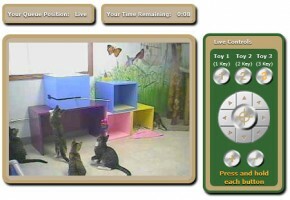 Basically you get to control a webcam that is mounted in the kitty play room and three different motorized cat toys in the room all through your home computer or laptop. The Humane Society of Clinton has called it iPet Companion. This is such a fantastic idea and it gives the ability for shelters to raise money to help with feeding and caring for the animals. I am sure it wasn’t a cheap system to implement but a fantastic idea none the less. A handful of shelters will be receiving this system. It takes several months to build but was funded primarily with donations. The primary goal of the iPet Companion is to boost donations and adoptions. Most shelters are packed to capacity and cannot house any more animals so if all goes well this would really help the shelter. The iPet Companion gives viewers a chance to interact with the animals and see their personality. It also allows the cats to socialize with each other. 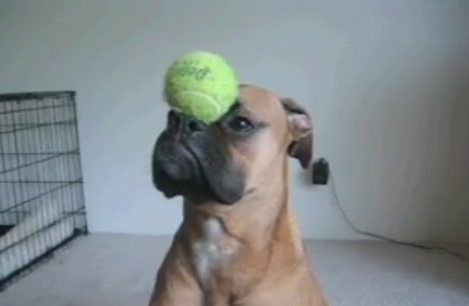 I wish they would make one of these for cute little puppies. It is also a fantastic system for those that want a little bit of companionship after the loss of a pet. Or maybe someone who loves cats but is allergic. If you can, I highly recommend donating to The Humane Society. Every little bit helps and you could save a dog or cats life even if you cannot adopt one. Donate at The Human Society.